At Fashioncraft, we know a favor star when we see one. And, this elephant is a true favor star. He has donned his parade gear and is ready for a celebration - your celebration! 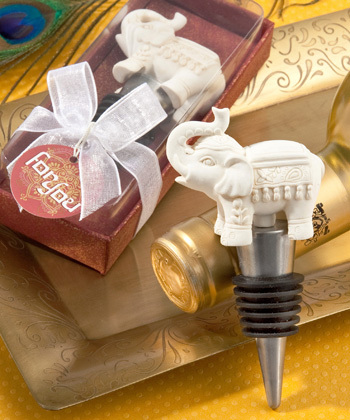 And, whether it’s for a wedding or any other occasion - this little elephant goes a very long way as a useful good luck charm that’s sure to please.